A signed special edition of our new book! - LFChistory - Stats galore for Liverpool FC! A signed special edition of our new book! The Liverpool Encyclopedia Legends edition goes on pre-sale today! A once in a lifetime to chance to own a Liverpool FC heirloom! Designed in Liverpool and printed in Great Britain to commemorate the centenary of Bill Shankly's birth, this beautifully cloth-bound limited edition of 200 signed and numbered books is your chance to own a piece of Liverpool history. Featuring a hand finished debossed image of Shankly on the cover, presented in a cloth-bound slipcase and signed by ten of the players who made Anfield history under the great Scot, this is a once in a lifetime opportunity to own a piece of Liverpool history. 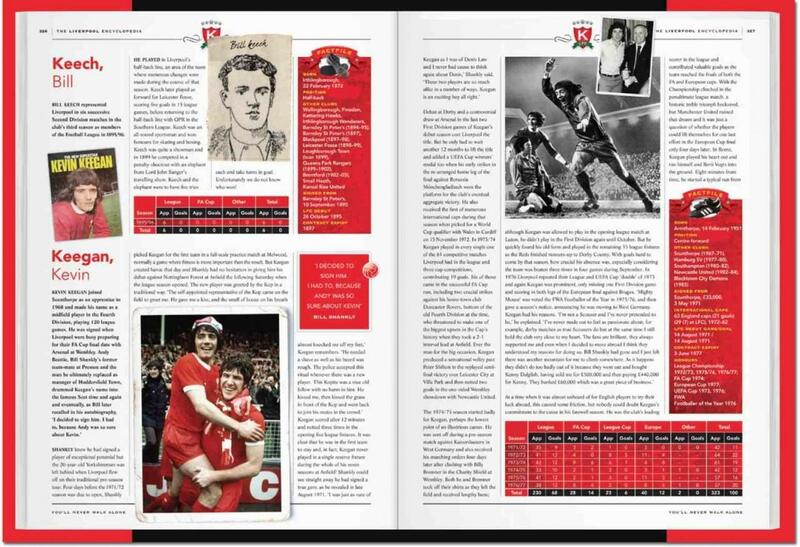 deCoubertin books are delighted to open orders on The Liverpool Encyclopedia Legends edition today. Customers who order by 10 August will have their names added to the Roll of Honour in the appendix, and those who make their purchase in the next fortnight will save 20 per cent on the cover price. Order by midnight on 10 August and get your name included in the Roll of Honour in the book’s appendix.